Chemistry is the study of materials and substances and the transformations they undergo through interactions and the transfer of energy. Chemists can use an understanding of chemical structures and processes to adapt, control and manipulate systems to meet particular economic, environmental and social needs. This includes addressing the global challenges of climate change and security of water, food and energy supplies, and designing processes to maximise the efficient use of Earth’s finite resources. Chemistry develops students' understanding of the key chemical concepts and models of structure, bonding, and chemical change, including the role of chemical, electrical and thermal energy. Students learn how models of structure and bonding enable chemists to predict properties and reactions and to adapt these for particular purposes. Students explore key concepts and models through active inquiry into phenomena and through contexts that exemplify the role of chemistry and chemists in society. Students design and conduct qualitative and quantitative investigations both individually and collaboratively. They investigate questions and hypotheses, manipulate variables, analyse data, evaluate claims, solve problems and develop and communicate evidence-based arguments and models. Thinking in chemistry involves using differing scales, including macro, micro and nano-scales; using specialised representations such as chemical symbols and equations; and being creative when designing new materials or models of chemical systems. The study of chemistry provides a foundation for undertaking investigations in a wide range of scientific fields and often provides the unifying link across interdisciplinary studies. Some of the major challenges and opportunities facing Australia and the Asia-Pacific region at the beginning of the twenty -first century are inextricably associated with chemistry. Issues of sustainability on local, national and global levels are, and will continue to be, tackled by the application of chemical knowledge using a range of technologies. These include issues such as the supply of clean drinking water, efficient production and use of energy, management of mineral resources, increasing acidification of the oceans, and climate change. Studying Chemistry provides students with a suite of skills and understandings that are valuable to a wide range of further study pathways and careers. An understanding of chemistry is relevant to a range of careers, including those in forensic science, environmental science, engineering, medicine, dentistry, pharmacy and sports science. Additionally, chemistry knowledge is valuable in occupations that rely on an understanding of materials and their interactions, such as art, winemaking, agriculture and food technology. Some students will use this course as a foundation to pursue further studies in chemistry, and all students will become more informed citizens, able to use chemical knowledge to inform evidence-based decision making and engage critically with contemporary scientific issues. This course is relevant (and often essential) for tertiary bound students who wish to follow scientific, engineering or related vocations such as medicine, nursing, physiotherapy and dentistry. 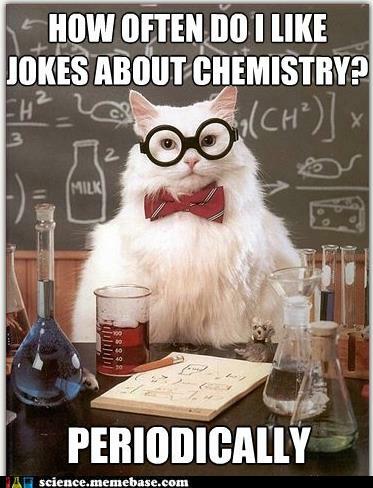 Chemistry is listed as being a pre-requisite for more university courses than any other course. Equivalent Calculator Functions – Scientific, non-programmable, solves linear & quadratic equations. You cannot use Classpads (from Mathematics) in Science classes, tests and examinations.